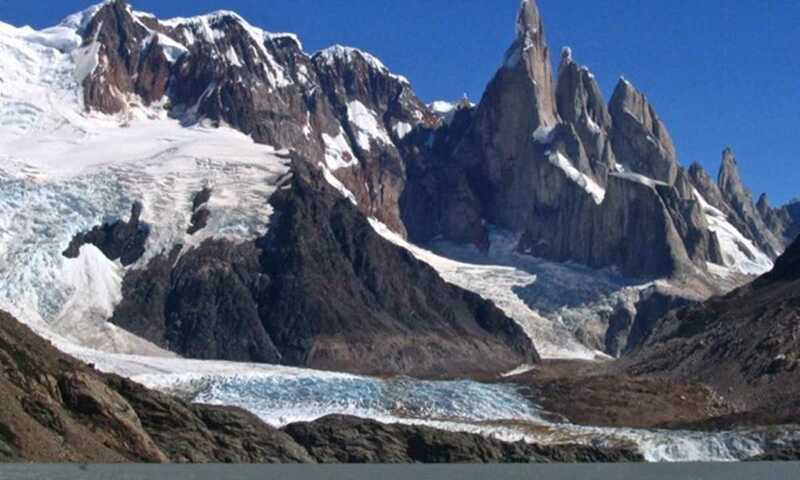 This ice trek is for the fit and healthy only as you'll spend 10-12 hours on this tour, walking and climbing on Glacier Cerro Torre in Los Glaciares National Park. All technical gear is included but you'll need to bring a day pack, water, food and warm clothes. 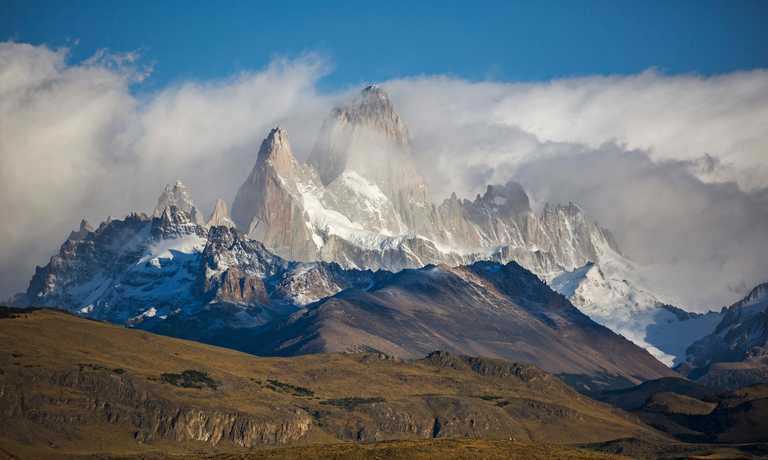 Leaving El Chalten at 7:00 am with the guide, hike to the campsite (2- 2.5 hrs). From there cross the Fitz Roy River using a fixed cable line and continue walking another hour until reaching the glacier. Once there you will explore the glacier for three hours and practice ice climbing, depending on the weather conditions. The return is by the same trail, arriving at approximately 7 pm. This is a day excursion of 10-12 hours. You can combine this activity with camping at the De Agostini campsite.